In Italy, experimentation of Booking.Basic started from few weeks, now reality in big cities like Milan, Florence, Rome and Naples. 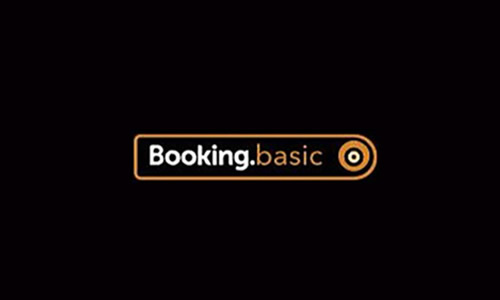 Through this initiative, Booking.com aims to obtain additional availability by drawing on the availability bases of wholesalers, so if before it was possible to have control over the OTA’s, thanks to Booking.Basic all this becomes more difficult at the expense of the parity and disintermediation that are objective of each structure that aims to increase its profits. This unilateral initiative consists in publishing, together with the rates and availability of Booking, the inventory and the relative rate of intermediaries and wholesalers without mentioning the sources. 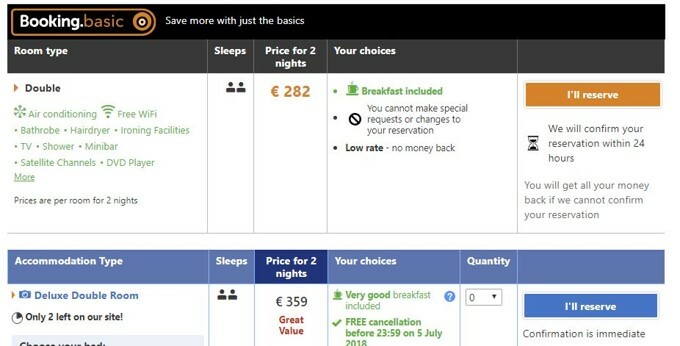 The customer at this point can choose whether book through Booking.com or book through the price reserved for intermediaries (always lower) ... even worse, the user will be able to book the room from Booking.com on the availability of the wholesaler even when on Booking there will be no availability! There are few Hotels that grant allotment on Booking but there are many more that have allotments and FIT rates (much lower) on wholesalers. For the hotel it means a significant loss of revenue. Even on Booking are available FIT rates theoretically reserved for intermediaries. All of this generates frustration as you can’t control the prices and, also, you can’t even control the relationship with the customer, which has always been the pride of Italian hospitality. 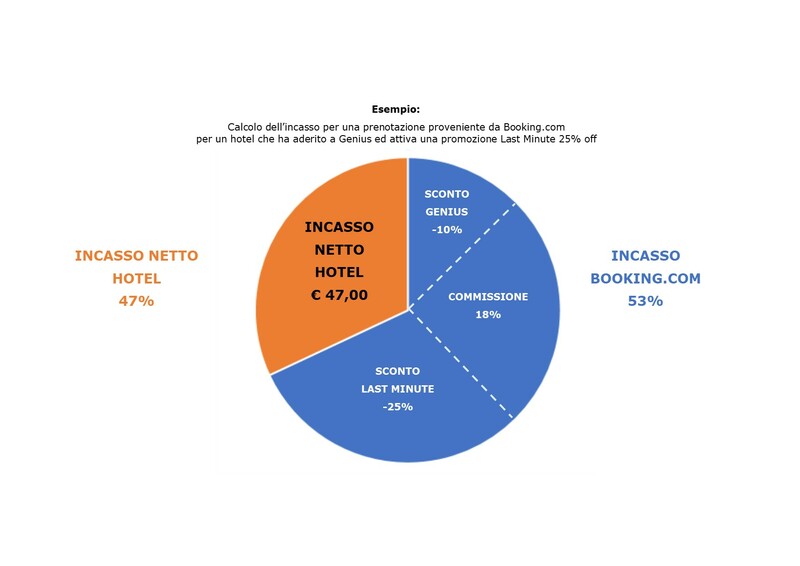 Booking.basic is another strong attack to the hotel’s brand, so, to solve this problem, the Hotel must start a serious digital marketing policy based on the control of distribution and prices and on the investment in its brand that it alone generates reservations: OTA’s earn millions of euros in commissions each year using hotel brands and distributing their rooms on their channels, so why not start disintermediate? What can a hotel do? 2 - Check distribution and availability by limiting allotments as much as possible, working with freesale wholesalers with the widest possible releases. - Working with wholesalers ALWAYS generates parity problems, but this doesn’t mean that the hotel has no power: if the wholesaler does not respond to hotel requests to not publish FIT rates (reserved for intermediary B2B) on B2C portals, the hotel can close the contract and sell your rooms elsewhere. If the hotel ever reacts to these abuses they will never be resolved! 4 - Promote on your official website the best guaranteed and use promotions as increment for direct sales. 5 - Invest in your brand through Adwords (see article on brandjackin) and give your website a responsive design. The hotel, with only 5 simple steps, can choose not to use Booking.Basic and begin to disintermediate seriously, increasing the turnover with direct sales! Remember that Fisheyes Ltd has been working with hoteliers for twenty years providing internet solutions for disintermediate and have control in the distribution and in their brand. For each customer there is a dedicated account manager ready to answer all questions and provide ad hoc solutions for. Ask for a quote! sales@fisheyes.it.